1.5mm, 2mm, 2.5mm with size .75"
Ss Heavy Hinge Premium, Size: 3"
Sizes Available: 3", 4", 5", 6"
75 mm (3 x 16) Rs 85/- 30 pcs. 480 pcs. 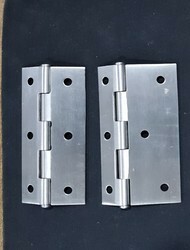 We are manufacturer of all kind of Hinge sets in MS, SS and Aluminum material also. 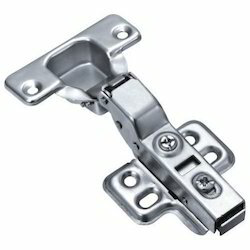 We can provide all type of Hinge set as per customer requirements. We are involved in offering an extensive range of Stainless Steel Hinges that meets on customers demand. Besides, the product is rigorously checked on well-defined quality parameters to ensure its quality. Stainless Steel 202 L Hinges, Size: 3"